Well if I leave my garage door open then anyone can have access to my golf clubs too. I simple close the door. Do the same for Firefox with a master password. When I try to view my passwords in Firefox I get “Please enter the master password for the Software Security Device.” That is because I enabled the master password. Its right there on the Security tab – which you didnt include a screen shot of. if you did then everyone would see “Use a master password” with a checkbox and immediately above the “Saved Passwords” button (again on the Security tab) there is a button named “Change Master Password”. That is all anyone needs to do. No third-party plugins. The entire word “third party plugin” scares me. When you install these plugins you have to click through a warning that states that the developer COULD have access to your browsing history and other sensitive items. No thanks. Ahh Very cool information! Thanks for the heads up! I honestly did not know that you can lock down your passwords within Firefox using the Master Password option. Ok then folks… Set up a Master Password within Firefox and you should be good to go. I just set it up and it does protect your password list. All someone has to do is: Export %AppData%\Mozilla to flash drive, import on other PC. Adding a master password can only prevent viewing it, not using it if profile is imported. Some think a password protected lock screen = better security, but bootable Ubuntu flash easily defeats it. 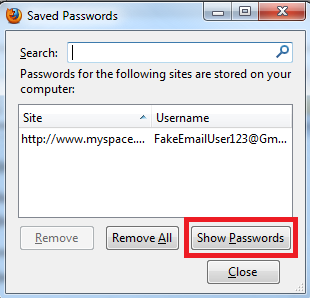 2) Don’t just password protect your account, use the option to encrypt all files, too. 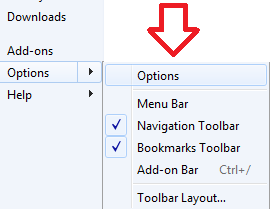 3) Use portable Firefox, so the profile is on flash drive & leaves when you unplug. Actually… You can import the profile with the other users master password all you want but you would still need to know the master password to actually use any of the passwords (the first auto-fill-in password dialog box will ask for the master password). The sqlite DB should encrypt all that stuff so it’s pretty safe afaik.